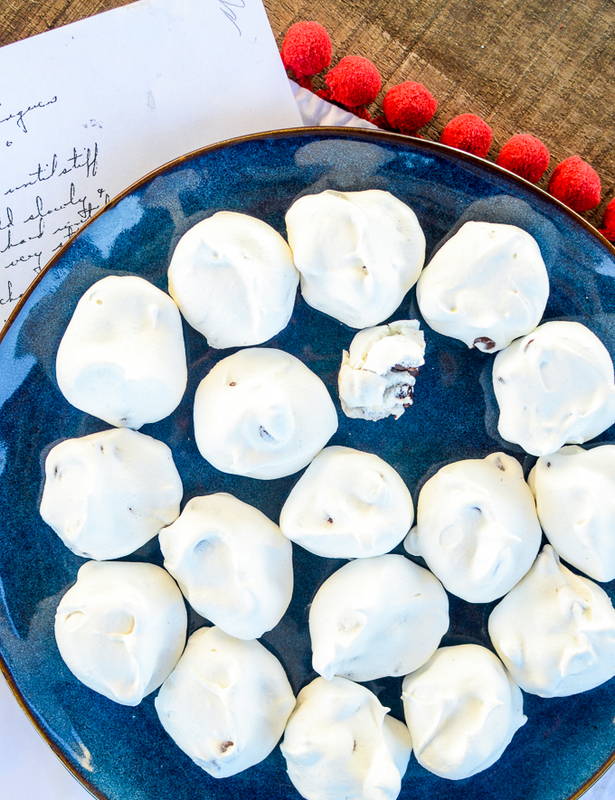 Nana’s Chocolate Chip Meringues are sweet and simple with just three ingredients. Rich and creamy chocolate chips speckle a slightly sticky inner meringue. This recipe comes out perfect every time.